For anyone who wants to bang the boring caps! Here is my crochet tutorial for the Long Beanie "Stars". The instruction is suitable for every head circumference. 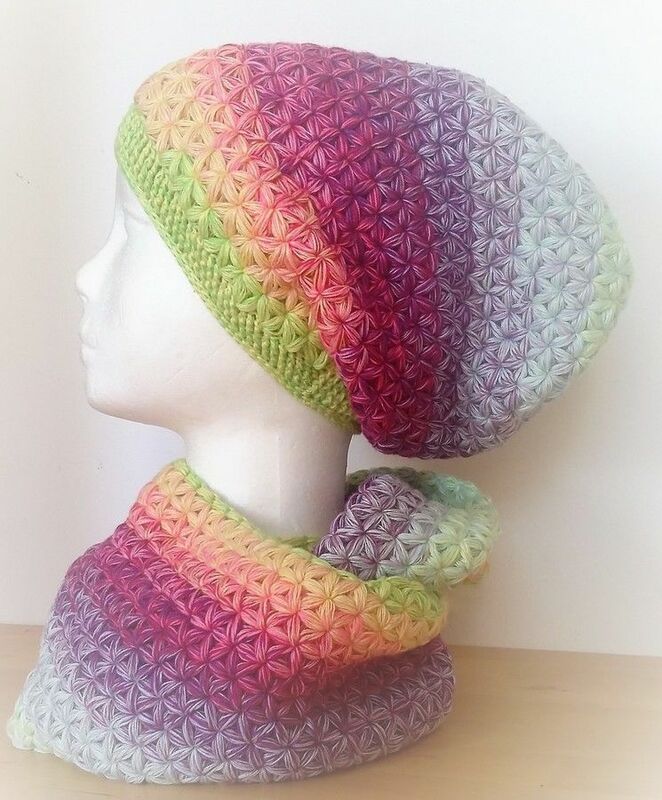 The Long Beanie is worked without seam. You get a detailed step - by - step tutorial with many pictures. There are sample pictures with three different yarns (from Lady Dee's dream yarns, 4 threads, 150g, approx. 570m running length): 1st picture: Wool ball "Oasis of the Pegasus" 2nd picture: Wool ball "mosaic" 3rd picture: Wool ball "Crazy Oasis 7"
Depending on the head circumference and wool yarn consumption can vary.